Russian President Vladimir Putin abolished the visa regime for Turkish citizens who went to Russia for business travel and as a truck driver. Turkish businessmen in Moscow said they were satisfied with this development and hoped that they would be applied on general visas. According to Russian media, Turkish drivers working in the international transport sector and Turkish citizens with special passports going to Russia for short-term business travel can enter this country without a visa. “Bilateral relations are already going very well. This decree is a very important stage, I consider it wonderful. We are very happy with this expected development. Commercial and truck driver visas to get up, green passports for visa-free entry to the businessmen will provide a lot of convenienceI would like to congratulate those who did this work and the heads of state who signed it. We would also like to have general visas removed. In return, we will try to increase our trade volume as businessmen. 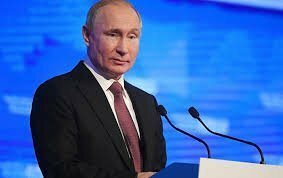 Russian President Vladimir Putin abolished the visa regime for Turkish citizens who went to Russia for business travel and as a truck driver.